Awesome! 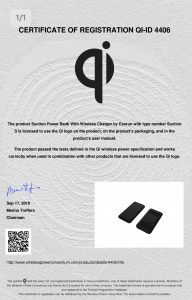 Suction Power Bank also Qi approved, it’s the 4th Qi certified model in Esorun. More on the way…. to be the most reliable partner!